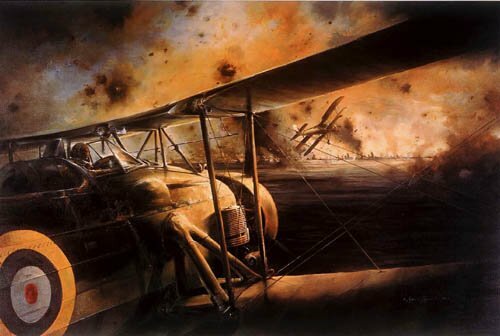 On November 11, 1940 a group of 21 slow, outdated Swordfish biplanes attacked and crippled the Italian Fleet in the heavily defended port of Taranto. One of the most daring raids of World War II captured in this print for posterity. Each print is individually signed by the artist and TWO Swordfish pilots.